The Great Solar Eclipse of 2017 was met with a variety of responses by schools across the country. Some announced they would close for the day for fear that the children under their care would accidentally look at the sun and encounter eye damage. Others remained open out of fear that children would not be safe at home by themselves during the great event. Either way, educators of all types saw the eclipse as a great learning opportunity, and many encouraged families to go out and view it together if the children were not in school. One family from Kentucky did just that – and got in trouble with the local school district for their action. “In the nearly hour-long home visit, the assistant director told Hope that the trip that her family took to observe the solar eclipse couldn’t be counted as school time. The school official also belittled her ability to educate her children, stating that even as a professional educator he wasn’t qualified to teach his own children at home. The fact that a family would be excoriated for watching the eclipse when so many other schools encouraged students to take advantage of the opportunity is a bit ironic (to put it politely). It lends the impression that the only real learning is that which occurs in a building with bells, orderly lines of children, class periods, and textbooks. These often are the very things homeschooling parents are seeking to break free from, largely because they believe they can build a greater interest in learning by educating their child in a non-traditional format. 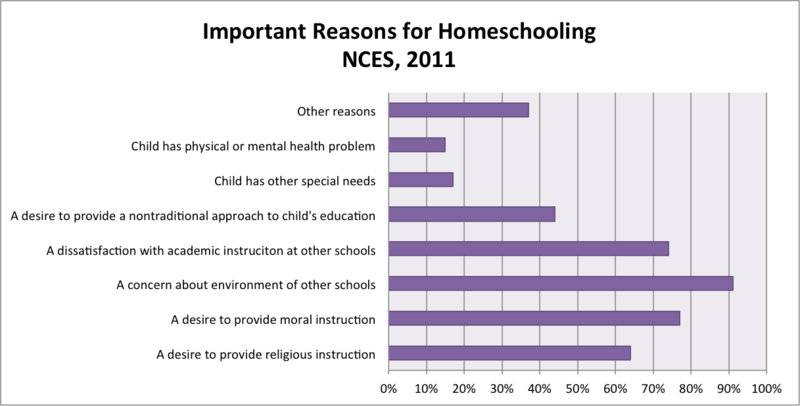 As the National Center for Education Statistics reported in 2011, over 40 percent of homeschooling parents name this as an important reason for choosing homeschooling. Over 70 percent name dissatisfaction with academic instruction at traditional schools as another important reason for educating at home. Contrary to what education system experts might believe, these alternative pathways to education don’t seem to hurt the children who experience them. If tests are any indication, the non-traditional, thinking-outside-the-box type of education actually improves learning, since homeschoolers far outpace their traditionally-schooled counterparts on standardized tests and the SAT. Is it time that school system administrators step back, relax, and realize that parents can give their children a great education even if they aren’t professional educators? Why Are So Many Female Teachers Sleeping With Students?